Like all the best puzzlers - easy to pick up, but refuses to let go. 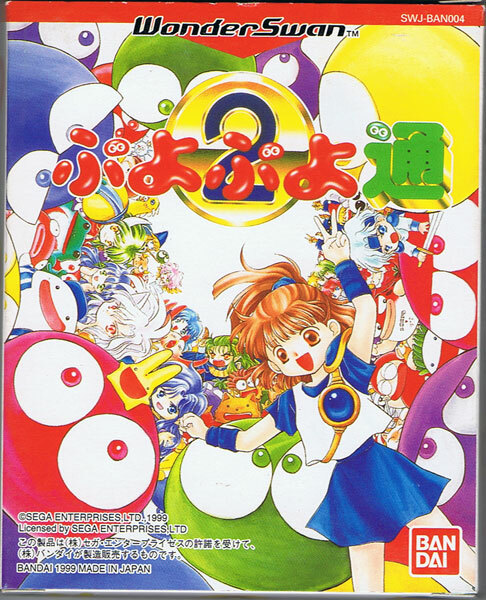 Puyo Puyo is at the pinnacle of its genre: sublime, fluid gameplay backed up with zany characters including a samurai mole and a grape aubergine...? Brand new. Small dent on box reverse. 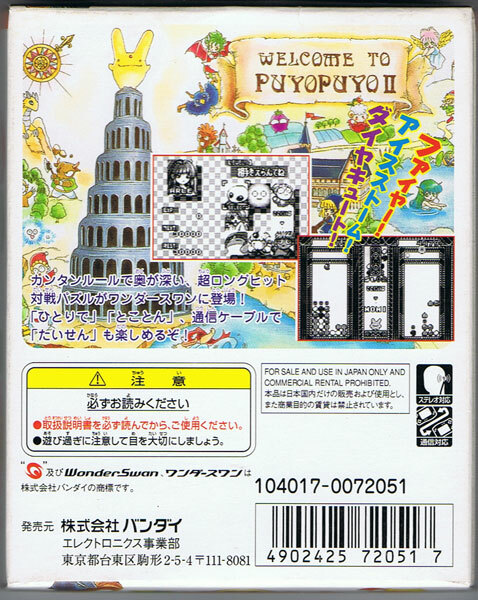 WonderSwan Black & White.